CHICAGO—The Honorable Minister Louis Farrakhan inspires, uplifts, educates and warns regardless of where he speaks or who is in the audience. 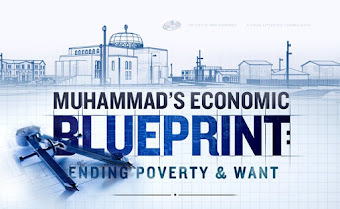 For over 60 years the Muslim leader has dedicated his life to spreading the teachings of the Most Honorable Elijah Muhammad in the U.S. and abroad. 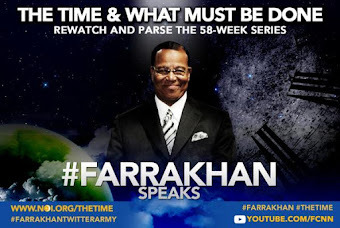 His ability to delve into and mine from scripture—both Bible and Holy Qur’an—that which benefits the masses of Black and oppressed people resonates with Muslims, Christians, Hebrews and even those that claim no religion. Despite a continuous onslaught of negative rhetoric and unfounded and baseless propaganda spewed by his enemies, Min. Farrakhan continues to be welcomed by those who admire, love and respect him. The Minister recently delivered a powerful and enlightening message to an ecumenical gathering of clergy and laypersons during the monthly Pastor’s Prayer Breakfast sponsored by the American Clergy Leadership Conference (ACLC) in Chicago. The Sept. 22 gathering was held at the Life Center Church of God in Christ pastored by the Rev. T.L. Barrett. He told the crowd prior to the Minister’s address that people should treat each other as if they are in the presence of God. It’s God who exhaled in man and man who inhaled, said Rev. Barrett. In introducing his brother in struggle, Rev. Barrett said he always admired the humility demonstrated by Min. Farrakhan which was exemplified as he watched the 85-year-old sit disciplined and respectful during the near-nine-hour funeral service of the Queen of Soul, Aretha Franklin weeks earlier in Detroit. “When I entered the sanctuary, I saw all of the luminaries on the platform; Bishop T.D. Jakes, Rev. Al Sharpton, Jesse Jackson, Bill Clinton and the most dynamic brother on the planet, Min. 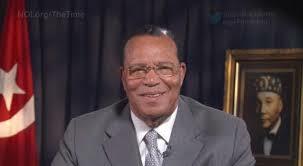 Louis Farrakhan,” said Rev. Barrett as the audience erupted with applause. During the funeral service for the music legend, Min. Farrakhan was seated predominantly on the dais but did not speak nor was he formally acknowledged by the bishop of the church where the funeral was held. This drew anger and concern expressed by thousands—many who were non-Muslims—who took to social media platforms expressing disappointment that Min. Farrakhan did not speak. “I was not the least bit disturbed in Detroit, I smiled for nine hours because those who saw the worst in them, I really saw the best in them so I was not bothered by an apparent disrespect because my brother bishop, he embraced me on that rostrum and ushered me to that seat and hugged me and we shared love between us. But somehow, sometimes as men of God, not mature yet in the mind and spirit of God, we fear men as we ought to fear God. So in not wanting to hurt the feelings of others he didn’t mind trying to hurt mine. But you can’t hurt me,” said Min. Farrakhan. Jesus was the most magnificent of all the prophets because he was the embodiment and personification of love, Min. Farrakhan explained. “In Jesus, the Messiah, is the in-dwelling mind and spirit of him who originated the heavens and the earth,” he said. When you know Jesus and are one who has surrendered your will to do God’s will, you are not disturbed by the ignorance of those you have been commissioned to serve, Min. Farrakhan added. 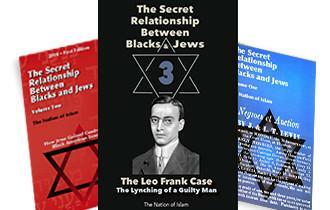 He spoke of the responsibility of the church to spiritually resurrect the Black man and woman through giving Blacks a thorough knowledge of self. “I am not offended by my people because I know who they are,” said Min. Farrakhan. In the book of Genesis in the Bible, where it describes the beginning of creation being “void” meaning having no shape or form. To be void, means having no validity, it is null, ineffective, useless and worthless in the beginning, the Minister explained. You and I as Black people are a destroyed people, he continued. Jesus connected disease and being ineffective with sin which is a good connection. Anytime we are victims of sin we are bound, not left free, because the spirit, energy and gift of God is limited by the sin of the sinner which is what Jesus came to free us from, the Minister explained. Jesus came to free us not from the physical bounds of slavery but from the slavery of material things and our low desires, he continued. “When Satan wants to get to you, he’s like a snake and wants to know where you’re coming from, what do you desire and then in your desire he tricks you. All of you have desires. All of us have things that we want, and Satan is boss in his world,” said Min. Farrakhan. Satan is trying to show himself as God in various areas of influence, Min. Farrakhan explained. But Satan’s offers always come with “conditions.” Min. Farrakhan challenged those that are charged with teaching and preaching the word of God to be steadfast and preach it in its true form. Throughout his message, Min. 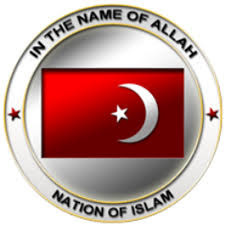 Farrakhan frequently related scripture from the Bible and Holy Qur’an as examples pastors, student ministers and members of the church and mosque should follow. “We’re fashioning a brand that excludes religious intolerance,” Rev. Barrett, a longtime friend and companion of Min. 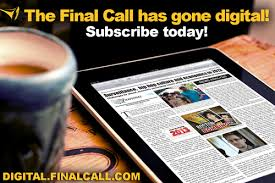 Farrakhan, told The Final Call. He believes the Minister’s presence at the church was a perfect example of unity between different faiths. Sharon Clark told The Final Call that she enjoyed and was inspired by the Minister’s words. “His entire message was moving, bringing us back to order. Us as women, bringing us back into the household (and) understanding the trick of the enemy and helping us to bring our men back up so we can take control of our children again,” she said. Her husband, Rev. Cornelius C. Clark, agreed wholeheartedly. “He has such a command of scripture, both the Qur’an and Bible. 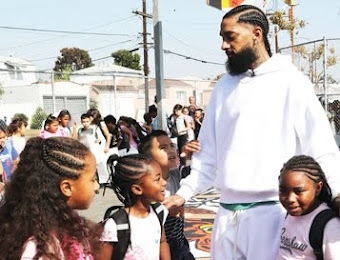 It’s obvious he’s a student of the word so I’m fascinated as a preacher to hear one of the most intelligent Black men at the top of the list,” he stated. “Whenever the Minister speaks, it is absolutely phenomenal,” said Rev. Clark, who dedicated and sang two songs to Min. Farrakhan prior to his message. Beronsha Johnson was happy to receive an invitation to the breakfast event. He said he listened to the Minister while serving a 21-year sentence in prison and was moved by his lectures. “It’s a lot of things you can gain from this and I think he’s a great person. The way he presented himself, how could you deny a person who doesn’t lie, steal, cheat, fornicate? It’s a lot more things I’m pretty sure I could learn so I will be back for more,” he said. Shortly before the end of the program Min. Farrakhan was presented with a gift basket of fruit and sparkling grape juice to represent the “fruit and nectar of the gods” and a certificate of appreciation for his 60-plus years of service in the Black community.